Ashtons Legal has made three senior appointments within their Personal Injury division. 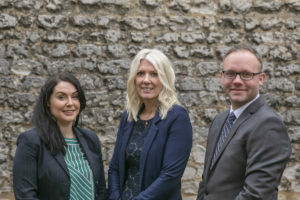 Hannah Clarke, Mick Upton and Sarah Barratt have all taken on new roles in the Top Tier regional team. Pictured (l-r): Sarah Barrett, Hannah Clarke and Mick Upton.